News Producers combine journalistic skills to find and report stories with production and technical skills to put together a news broadcast for the internet or television. News producers must work in groups to brainstorm, research, film, and report stories. 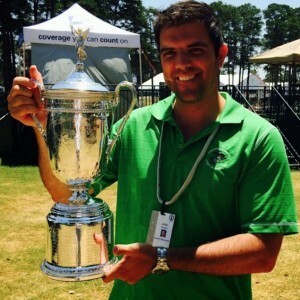 Our alumnus John Sodaro (2012) is a feature/associate producer for Sports Illustrated’s daily Internet show, SI Now. I am a feature/associate producer for Sports Illustrated’s daily Internet show, SI Now. As an associate producer for the show, I help develop and produce stories for the show. I research sports and entertainment guests who will appear on the show and I formulate questions for those guests. As a feature producer, I develop feature stories to produce into short videos. I shoot, produce and write the scripts for the videos and also conduct some of the interviews that help tell the story. The pros of the job are travel and getting to meet sports and entertainment figures. The cons would be the hours. The show runs daily but the hours it takes to develop good features and stories never really stop. Researching and analyzing were a big part of my English major. Those two things take up more than half the job as a producer. Being able to write coherently and write grammatically correct, especially with proper names, was key as well. I minored in Journalism and took an internship in journalism that helped me get started down this path. After I graduated, I attended the CUNY Graduate School of Journalism to enhance my skills in video. I did my graduate internship in sports and took a sports writing class at graduate school. I used my capstone work and other stories from my internships to apply for this job. I would say not to stress about the future too much. Find an area or niche that fits you and use what you learn in school to propel you to that. It’s a lot easier to get up and go to work when the “work” doesn’t feel like it. Utilize internships and work hard when you are there. They will be the small sample of work that might get you a job over someone with more experience.